Imagine the most colourful, stylish Benetton advert you've ever seen, add a mix of asymmetric and vibrant dance moves and infuse with humour and The Beatles music. Now you'd be heading in the direction of this unique production celebrating The Beatles' 50th anniversary of Sgt. 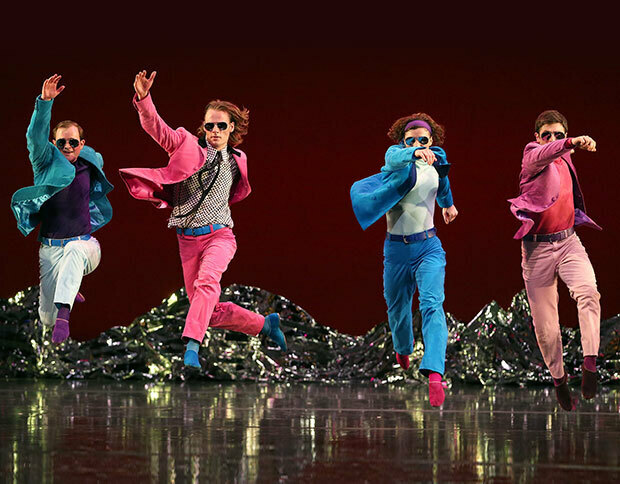 Pepper's Lonely Hearts Club Band from acclaimed choreographer Mark Morris. 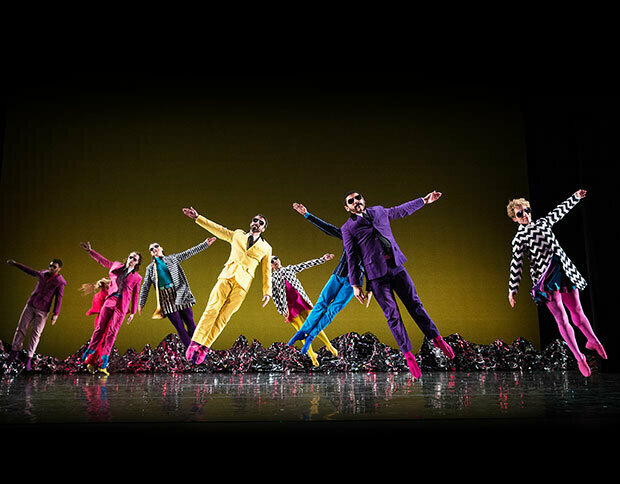 I caught Pepperland during the first of its two days at Birmingham Hippodrome, from March 26 to 27, as part of a UK tour by Mark Morris Dance Group organised by Dance Consortium. The tour continues until May 1 to cities including Salford, Edinburgh, Plymouth and Newcastle. Morris demands that a live band performs alongside the dancers and you can see why as the scintillating jazz-fused score is as much a part of the aesthetic as what is happening centre stage. The soundtrack is The Beatles but not as you have heard them before. Adapted by Morris' long-time collaborator Ethan Iverson, he has created soulful and innovative arrangements for iconic songs from 'With A Little Help From My Friends' to 'Penny Lane'. Over one hour, a cast of beautiful and stylish dancers in 1960-esque fluorescent sharp suits and mini-dresses jump, twirl, run and strut as though on an endless catwalk - and it's fascinating. It's a highly stylised production but there's also frenetic energy on stage and the choreography is clever and joyful, weaving in narrative movements that signpost the audience to the famous Sgt Pepper album cover. There's plenty of humour too, particularly during song 'When I'm Sixty Four', which involves an alternative can-can type sequence and then in reverse. Rhythmic, repetitive movements are a key part of Morris' work and are especially pronounced during the marching choreography of Sgt. Pepper's Lonely Hearts Club Band. There's also softer, more romantic pas du deux during Adagio and other sections, while Penny Lane tells a story that makes the barber and other characters in the Liverpool street come to life. 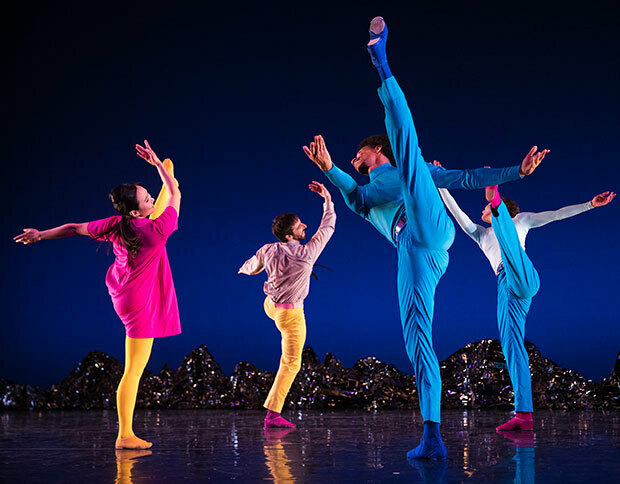 Pepperland is a strikingly original, quirky and fun piece of dance and like The Beatles' music, it has the ability to lift your spirits and bring joy. It's an energetic shot of fluorescent happiness.